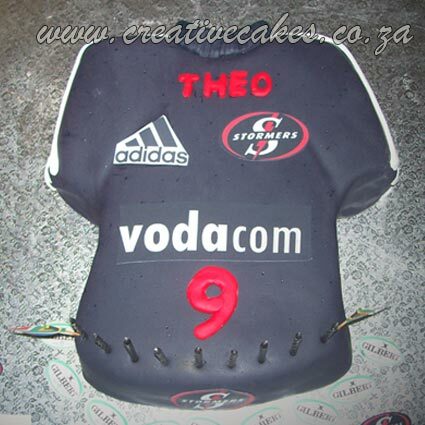 This Stormer fan was really surprised with this customised rugby jersey cake of his favorite South Afican rugby team, the Stormers. Creative Cakes offers Kids Birthday Cakes, Unique Cake Designs, Adult Cakes, Cake Decorating Book and MORE! !